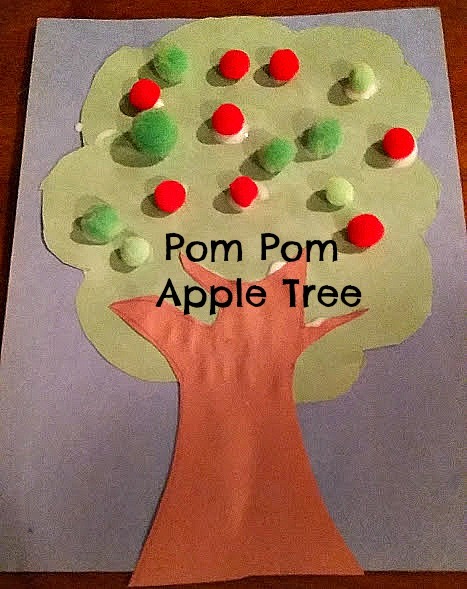 The post on CraftOnSea used felt for the tree bark but we went for all construction paper in this one. The kids had fun gluing on the pom poms. My 11 year old snarkily pointed out that you wouldn't have two different types of apples on a tree, but we stuck with red and green to make it more colorful. 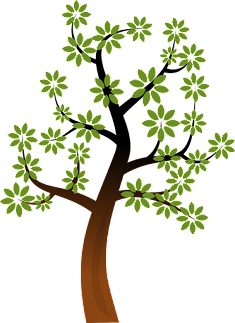 I drew the tree and bark free style but you can google and find tree templates to print and use.